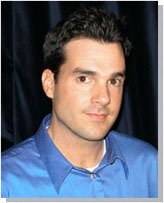 John Reese (TrafficSecrets.com) - Articles - Don't Waste Precious Online Real Estate. I'd be willing to bet that right now, right this second, you are wasting precious online real estate. In other words, you are not taking advantage of every "place" in your online marketing that you could be using to make you money. Do you realize the "Thank You" page (the page you display after someone submits an opt-in form or even an order form) is some of the most RESPONSIVE real estate on your site? You should be using your "Thank You" pages to promote some of your other products, other opt-in lists, or affiliate products. "Thank you for subscribing. You will receive your first issue very soon." Then under that text you can say, "We Highly Recommend This Product..."
You can do the same thing for your ORDER FORM "Thank You" pages. Thank the customer for their order and recommend they check out a related product. In fact, this real estate on your site will be the most responsive of all for other offers. After all, that web site visitor just became the most qualified prospect of all -- A PAYING CUSTOMER. "I don't want to piss them off by trying to 'pitch' them other products." Everyone needs to realize something -- people buy MULTIPLE PRODUCTS when they are interested in something. So why shouldn't *YOU* get paid when they do? That's right, you probably bought more than one on almost every occasion you can think of. Customers are the same way. So don't be afraid to send offers to your customers. Start displaying related offers on your order form "Thank You" pages and you'll instantly boost your income. I did this recently on ONE of my sites and it added an additional $3,500/month in net income. I simply took an order form "Thank You" page that had only said, "Thank you for your order." (and some other minor stuff) and added a promotion for a "Recommended" product. This was an affiliate product that I earned a commission on when my customers visited the link and then made a purchase. When people are ordering from you, their TRUST and RESPECT for you is at an all-time high. If you "recommend" another product for them to buy at this time (right after they placed an order with you), not only will they trust your recommendation (by the way, make sure it's a solid product you are recommending) but they are also still in the "buying mood" and will be more likely to buy something else at that moment. After making this minor modification to one of my own "Thank You" pages, I am now making this additional income day after day. All I did was make use of some precious online real estate that I was overlooking -- i.e. WASTING. I'd be willing to bet that there's some "unused" online real estate you can go take advantage of right now that would allow you to INSTANTLY make more money from the same traffic you are already receiving.